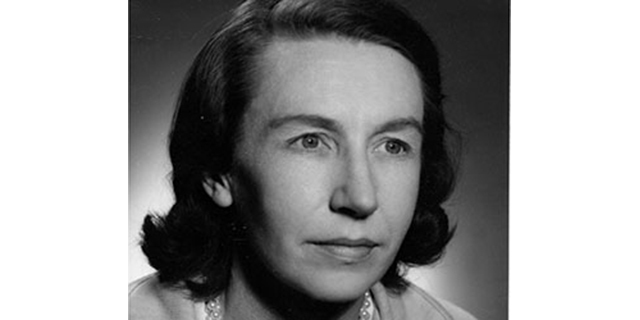 Margery Clare McKinnon was a dedicated paediatrician who spent most of her working life at the Queen Victoria Memorial Hospital (QVMH), the Royal Children’s Hospital (RCH) in Melbourne, and in private practice. Sandra Crockett, Clare McKinnon’s niece, with thanks to Drs David McCredie, Arthur Clark, Peter Loughnan and Neil Campbell for their assistance. She was born in Kingston, Central Victoria, the fourth child of farmers Mabel and John McKinnon, and christened Margery Clare, although she chose to be called Clare. She attended the local primary school until the mid-1930s when the family moved to suburban Brighton. Clare then joined her older sister, Isobel, as a boarder at Firbank CEGGS but was so unhappy at boarding school that, unlike her siblings, she was allowed to be a daygirl and live at home. An outstanding student, she was dux of Firbank in her final year, a member of the softball team, and a good tennis player. Clare’s application to study medicine at the University of Melbourne was refused on the grounds that she was too young. Undeterred, she enrolled for a science course instead, commencing just before her seventeenth birthday. After graduating with her BSc, Clare began studying medicine in 1945. Whilst a medical student she earned much needed money doing casual work as a laboratory assistant and as an invigilator at university examinations. Clare was one of only 17 women amongst the 118 graduates who received their MBBS degrees from the University of Melbourne on 24 October 1950. She spent the next two years as a Resident Medical Officer, first at the QMVH, then at the RCH, where she became Registrar in 1953, having decided that her main interest was in paediatric medicine, especially the care of newborn babies. Perhaps the death from whooping cough at five weeks old, of an older brother, Ian, which had been such a tragedy for her parents, influenced her choice. Having decided to go to England to do her paediatric training, Clare took on two very adventurous short terms of employment. In 1955 she went to Norfolk Island for three months as the temporary Government Medical Officer and superintendent of the 16-bed hospital. She was the first woman doctor to have worked on Norfolk Island. She was also the only doctor for a population, at that time, of about 1000 people. Her only transport was ‘an old bomb’ to negotiate rough coral roads to patients who couldn’t reach the hospital. Shortly after leaving Norfolk Island, Clare took up a three-month locum in the Royal Flying Doctor Service (RFDS) for southwest Queensland, based in Charleville and covering a radius of about 650 kilometres. In 1955 very few women had worked for the RFDS. Much of Clare’s work was on the pedal radio giving advice to outlying residents, but there were weekly ‘station hop’ flights, using station property airstrips. Clare found it very rewarding to meet the women on outback stations who were friendly and hospitable and so glad to talk to a woman doctor. Mothers with young children appreciated her advice as they had no baby health centre to turn to. As well as the usual cases for a general practitioner, there were some nasty injuries caused by horse accidents. During 1956 Clare was Medical Officer to a general clinic at the RCH in Melbourne before leaving for England on a cargo ship, travelling as the ship’s doctor to pay her way. Clare trained in paediatrics at the Department of Child Health, University of Bristol in 1957, at the Department of Child Health, Newcastle-on-Tyne in 1958 and at the Hospital for Sick Children in Edinburgh for four months in 1959. In 1959 she was granted the Diploma in Child Health by the Royal College Physicians of London and the Royal College of Surgeons of England then toured Britain and Europe before returning to Australia. In 1960 Clare was a university registrar and tutor in child health at the University of Queensland. The sudden death of her brother-in-law, leaving her older sister, Isobel, alone with four very young children, and the need to assist both Isobel and their mother, Mabel, may have been the reason for Clare’s return to Melbourne. From the early 1960s Clare was in private practice. She also worked in general paediatrics at the RCH and was an Honorary Medical Officer to Victorian Baby Health Centres, giving lectures to infant welfare and mothercraft nurses. In the 1950s Clare played tennis with her colleagues as a doubles pair with Dr Molly Herring. Unfortunately, in the mid-1960s, operations to remove torn cartilage from both knees prevented any more tennis. In the latter half of the 1960s, Clare stayed on staff at the RCH and joined the senior medical staff at the QVMH as head of the paediatric unit for general and neonatal paediatrics. As Sub-Dean for Monash University she was responsible for organising the undergraduate teaching program at QVMH for Monash medical students, and taught paediatrics to students herself. In 1971 Clare became head of the neonatal unit at the RCH, an appointment that made her very happy. Prior to her appointment the neonatal unit was just part of a general paediatric ward and responsibility for it rotated among several consultants. Clare was there until the end of 1973, after which she continued in general paediatrics until she retired in the early 1980s due to ill health. In the last 25 years of her life she became increasingly physically incapacitated. Having worked so hard, Clare regarded retirement as a wonderful opportunity to catch up on recreational reading. She enjoyed watching tennis on the television but otherwise had little interest in television. She was an avid reader of books, magazines, medical journals and The Age newspaper. She was still reading The Age newspaper every day until the last year of her life. She died aged 90 at Yarralee nursing home. Clare is remembered by her colleagues as a person of forthright opinions who didn’t suffer fools gladly. However her opinions were always valued and she was much admired and respected in her profession.